Cross river is set to float their first commercial airline and shipping company in partnership with some foreign investors on or before December 2017. 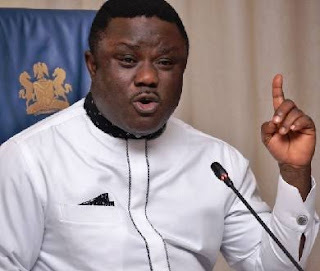 Ben Ayade, the Governor stated this during an enlarged state executive council meeting after a presentation by some potential transaction advisers for the project. Some of the suppose partners of the project assured the state of providing resources base on their professional competence and said Cally air will be a success. He said the intention of running an airline was not just to focus on making money but the underlining philosophy is to drive traffic to Calabar which will in return boost the state's economy and state's tourism potential.